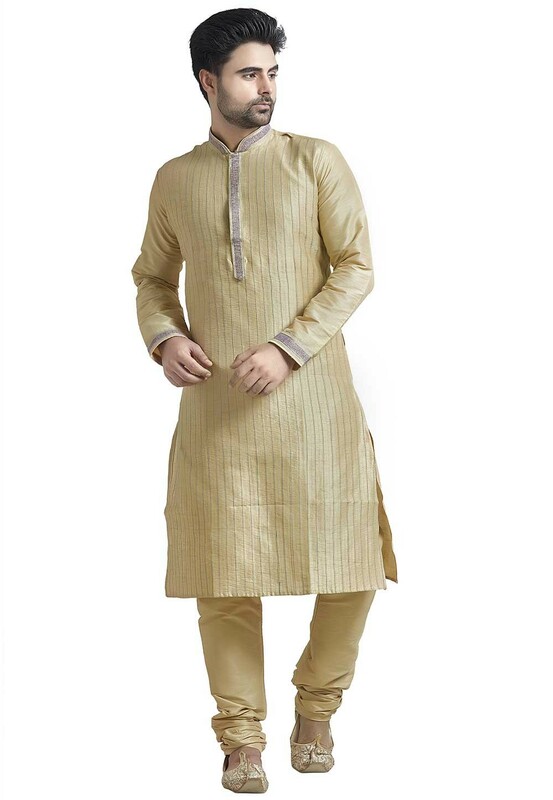 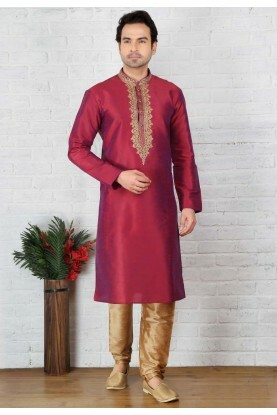 Attain a luxurious ethnic look for your big occasion with this Beige Colour Silk Fabric Readymade Kurta Pajama. 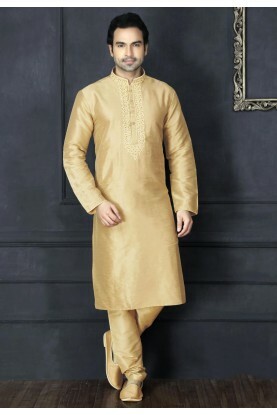 You're reviewing: Beige Colour Indian Kurta Pajama. 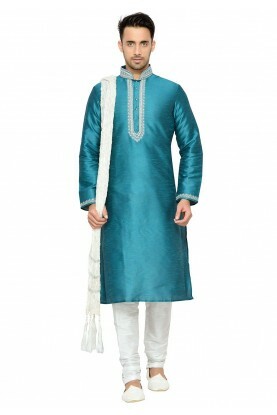 Exquisite Dupion Silk Green Color Readymade Kurta Pyjama.